The San Francisco band Grass Widow braids apparitional vocals over distorted post-punk riffs. 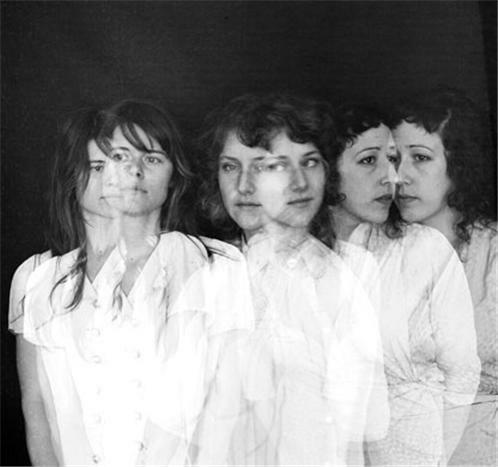 At the center of its songs are the troika harmonies of Lillian Maring (drums), Hannah Lew (bass) and Raven Mahon (guitar), who contribute vocals equally, echoing the bands process. Grass Widows lyrics, matched with its cautiously joyous beats, reflect its vision of the world: a mysterious Ozlike land in which the surface looks radiant and colorful but with a thinly veiled underside that reveals a fearful and fateful ethereal reality. Grass Widow mesmerizes with its bewitching tales and eerie, obsessive melodies. But at the core of its captivation are the vocal harmonies. When we play live, Maring says, well all be chiming in vocally, and well make eye contact; its like were singing to each other.